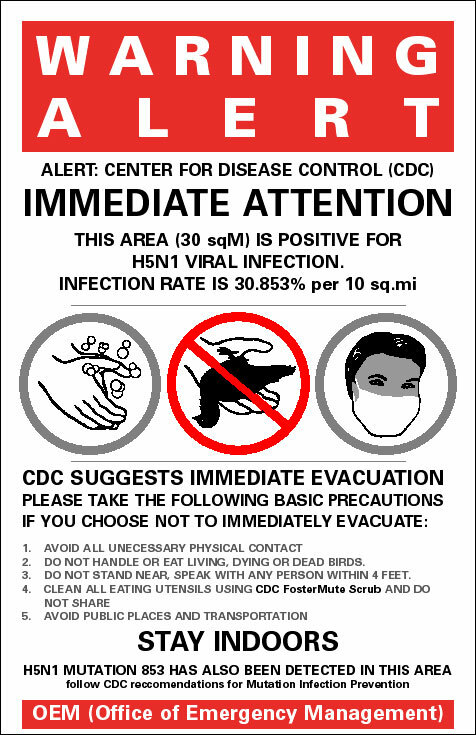 With the country still divided on the Terry Schiavo case, the Center for Disease Control forecasts a major global pandemic of h5N1 Avian Bird Flu in the next 3 to 5 years. 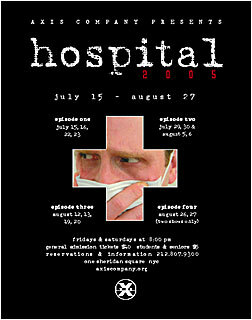 Hospital 2005 follows the cerebral journey of one of the many hundreds of thousands of people that will contract this illness. Comatose and near death following infection, the Traveler wades through his memory of life and tries to decipher what may have happened in his past, the nature of his impossible present and what might be left of his future. 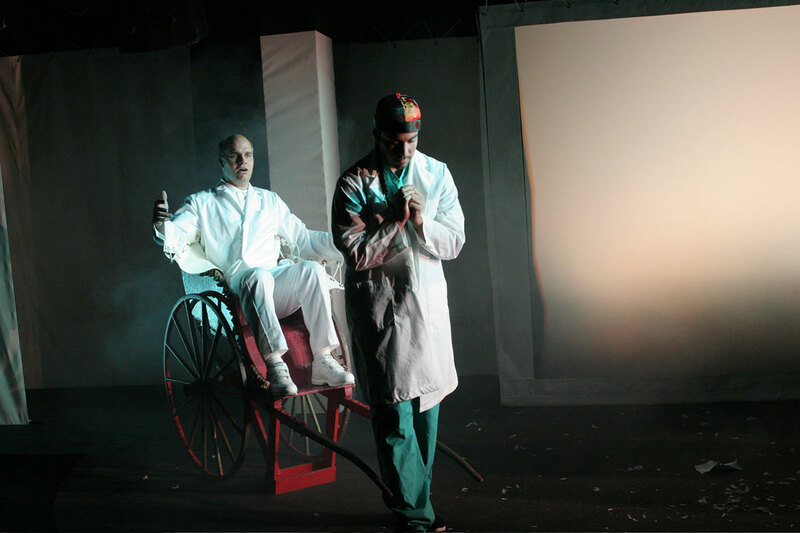 Although Hospital is a serial play, each evening can be viewed separately as a self- contained short play. 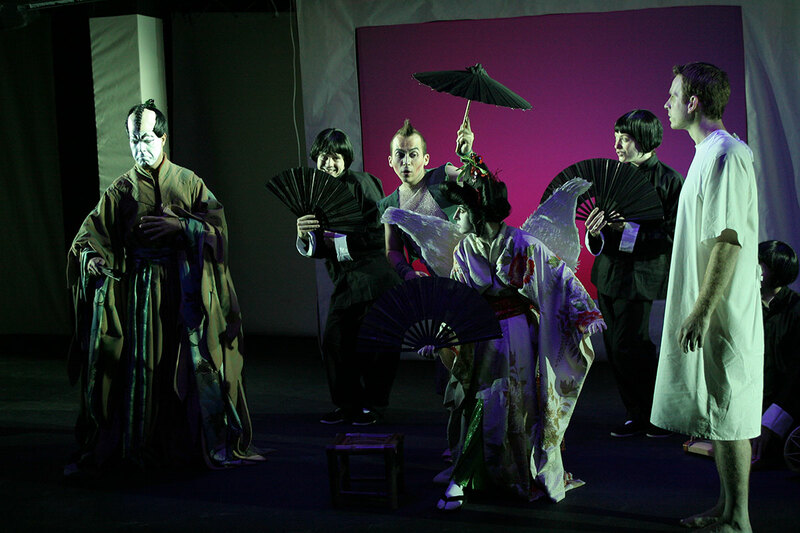 A cult phenomenon in the downtown performance world, the annual serial commonly lists among its cast many rock music, indie film and downtown theater celebrities. 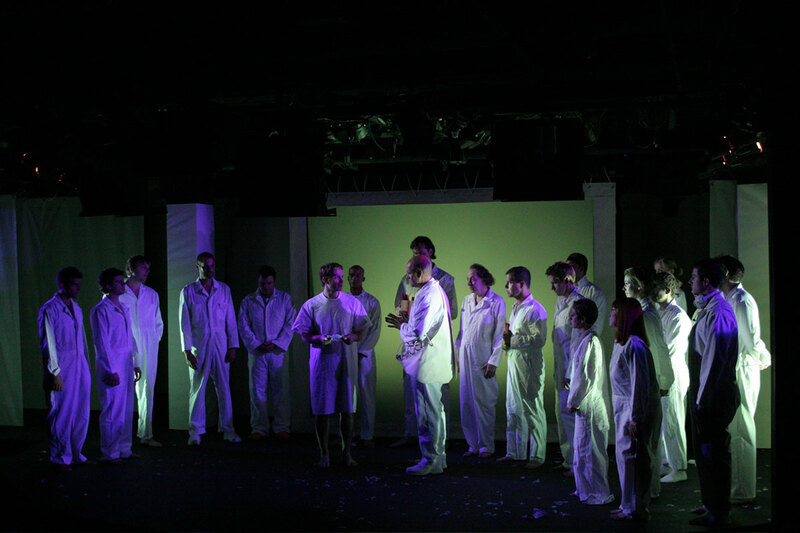 All installments include film and original music and run about 30 minutes.